It is prudent rehabilitation professionals completely restore optimal mechanics following ankle sprains. Subtle changes, like positional faults, muscle inhibition, and mechanical shortening of tissue can easily go undetected. This triggers a myriad of injuries through the kinetic chain. I look forward to your feedback and commentary. Hubbard TJ, Hertel J. Anterior Positional Fault of the Fibula after Sub-acute lateral Ankle Sprains. Manual Therapy. 2008; 13: 63-67. Mulligan, E.P., Evaluation and management of ankle syndesmosis injuries. Phys Ther Sport, 2011. 12(2): p. 57-69. Landrum, EL, Kelln, BM, et al. Immediate Effects of Anterior-to-Posterior Talocrural Joint Mobilization after Prolonged Ankle Immobilization: A Preliminary Study. J Man Manip Ther. 2008; 16(2): 100–105. Fong, CM, Blackburn, JT, et al. Ankle-dorsiflexion range of motion and landing biomechanics.JAT. 2011; Jan-Feb;46(1):5-10. Friel, K, McLean N, Myers, C, and Caceres, M. Ipsilateral Hip Abductor Weakness After Inversion Ankle Sprain. J Athl Train. 2006; 41(1): 74–78. Lloyd, ML, Willson, JD, et al. Hip Strength in Females With and Without Patellofemoral Pain. J Orthop Sports Phys Ther. 2003;33:671-676. Bell, DR, Padua, DA, & Clark, MA. Muscle strength and flexibility characteristics of people displaying excessive medial knee displacement. Arch Phys Med and Rehab. 2008. 89(7):1323-8. Sarhmann, SA. Diagnosis and Treatment of Movement Impairment Syndromes. 2002. St. Louis, Mosby. Great info. Dude! I think there is a typo: you said the medial calf, hamstrings are glute med are inhibited due to altered reciprocal inhibition. Perhaps you meant to say they are weak?? I hope all is good with your family and u!! P.s. your skins should make some noise if rg3 stays healthy. RG and the skins should be good. I have absolutely zero worries about his knee. I’ve never been able to diagnose what is wrong with my right knee other than it hurts when I use it at all vigorously on the inside of the kneecap. Recently I realized my right ankle has been sprained repeatedly and is permanently looser or more flexible than my left. I strongly believe that my ankle injuries are causing a situation for my knee to hurt when I jog or walk a lot. My knee pain is also activated by running my ankle through its range of motion with no weight on it. This doesn’t happen with the less injured less flexible left ankle and left knee. I can’t afford an MRI but it seems likely that my knee is not the cause of the knee pain??? I used to be a runner, but can’t run anymore. I’m 43 and I first sprained my ankle severely when I was 22 since then I have rolled it significantly maybe 10 times. Not sure what I can do to stop the knee pain. Physical therapists couldn’t find anything fundamentally wrong with my ankle. I swim now to keep my weight down and get exercise and get cardio but I would love to run regularly as well. I would appreciate any insight you have into how my ankle sprains could be related to my knee pain. I think you might be on the right track. It is very possible that your ankle issue has led to knee injury. I’ve seen it happen many times. I train many clients virtually. I can use Skype or Google Hangouts. I can perform a functional assessment and then if I find functional deficit I can set you up on a training program. Based on your description, I believe we can find something. Meant to say PT’s and a doctor couldn’t find anything fundamentally wrong with my knee or my ankle. This is pretty cool. I sprained my ankle about 6 months ago and recently tried running again. My knee began having pain in the front. I never had need pain before. I looked all over the web looking for a possible connection. This article was the first the made sense. Thank you. I am fighting against a lateral RIGHT knee pain (ITBS) since more than 1 year! The very first time happened during a mountain running race while I had my LEFT ankle taped because of little sprain 2 weeks before. Since then I (almost) always felt a small pain, let’s say a discomfort, on my external right knee. Several months later, during a mountain running race again, I sprained my LEFT ankle, this time much more seriously. I stopped running and went for physiotherapie during 2 months. I was pretty sure that my old knee problem would disappear with such a running break. Not at all !! When I restarted running, a stronger pain arised after just 5-7 minutes on the same right knee. My god! Since 4 months I can’t start running again (cycling even let to discomfort). I went to Osteo twice, I got ortho insolde, I make streching and strenghtening exercise 2-3 times a week….but it doesn’t work. I think I can admit, I’m a desperate. Could you help me ? Regards, M.
From there we can discuss how I can help. I have never connected my knee pain with ankle sprain. It’s been 6 years now I have a knee pain, worsening each year. Several MRI’s, many visits of different orthopaedist’s. They never came with the cause of the problem. My last visit half year ago brought me a diagnosis: Patellofemoral dysplasia Wiberg III, chondromalacia grade II. I asked the doctor what the cause is. He told me that it is genetic predisposition. I asked him if both of my knees are physically equal, and if so, why I had never had a problems with the other knee. He answered “Yes” and “I don’t know”. I like all kinds of sports, I can say I’m addict. Bike, running, beach, climbing, swimming and many others. The knee pain is still there no matter what kind of sport it is. Hurts more while biking and running, less while swimming crawl. I think that in 5 years I will develop invalid. Today I looked at my foot and noticed slightly twisted ankle outwards(only the right ankle of the leg where the knee pain is). I always thought it’s due to knee. And know I’m reading your article and find out it’s the other way. The thing is that just before my knee pain developed, I had multiple ankle injuries, sprains. When I say multiple I mean 6 times a year, pretty serious, both ankles. Do you think that this can be the cause of my problems and what can I do about it? If the right ankle is chronically damaged, how can i help the right ankle to be stable? I don’t feel my ankles right now and it’s been ok for several years in a row, but I have read somewhere that the ligament can be damaged, stiff, the signals from ankle to brain can be affected causing the knee pain as you suggested. Thanks very much for your advice. While I have not evaluated you, nor do I know your condition to the full detail, it is possible the ankle issue could be linked to the knee. Make sure you have proper ankle mobility, especially ankle dorsiflexion. Almost two years have passed from my post here and the things changed significantly. The last differential MRI in june 2016 showed, that the knee is not worsening, not the cartilage at least. But the orthopaedist came with the “theory” behind my knee pain. 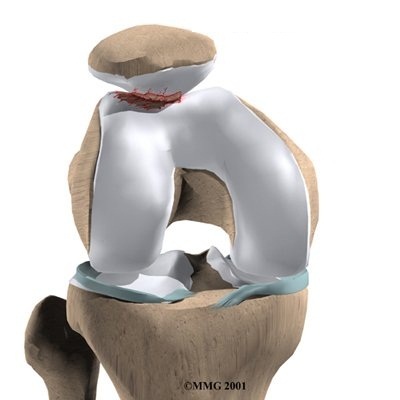 I have a hypertrophy of synovial membrane(plika), which causes the mechanical wear of the cartilage and thus the pain. The doctor applied a corticoid injection in the particular area. It was just for diagnosis purpose to prove the diagnosis or to reject it. Probably he was right, because it is 7 months now and I feel much better. That means the most of the time the knee is not in pain at all, 100% functional. I got back to my favourite sports like biking, swimming, climbing, badminton, running. Sometimes when I push too much, the knee gets worse, but unlike before, it gets better after two days, not two weeks, and the pain is not that strong. There is a decision for me to take the surgery or not. Maybe this information will help somebody with his\her problems. Good luck! hi i have chronic lateral knee pain for 5 years, (fibula head and proximal tib fib joint and now a little above my knee lateral lower thigh. before i injured my knee i was running with my foot turned in as i had a sore foot and have had many foot injuries previous, my foot isn’t sore but doesn’t feel like my good foot, i have been to many physio, drs surgeons etc and they say that the pain is in my head or nerve pain although I’m sure it is coming from my foot, my proximal tin fib joint is hyper mobile where as my foot is hypo mobile. everyone keeps focusing on the site of pain but not looking at whole picture, any suggestions? I think you answered the question yourself, you need to find a therapist who evaluates the whole movement system, not just the knee and foot. I am 23 year old and I have weak knees after my ankle got twisted while i was doing zumba. Those days i would workout twice a day. I don’t know the exact reason but i am unable to do any form of workout for more than an hour now. Knees would give up. There is always a crackling and crushing sound when i move. What could be the possibilty? This is my ankle, knee, and hip. Damn.